The Merry Commercial rough terrain mower is built extra durable for the toughest mowing cutting with a wide 26 inch deck. The rough terrain mower goes where a riding mower can't. 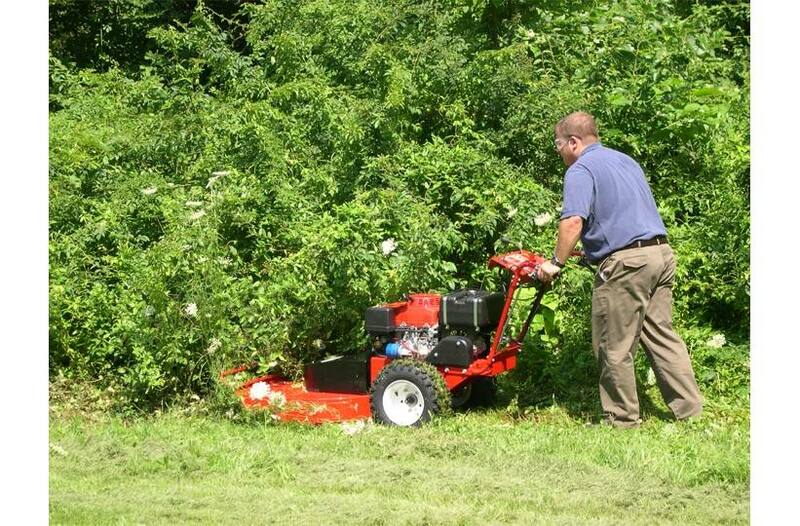 It can mow grass and weeds that are head-high and even cut small trees and saplings up to 1-1/2 inches thick! 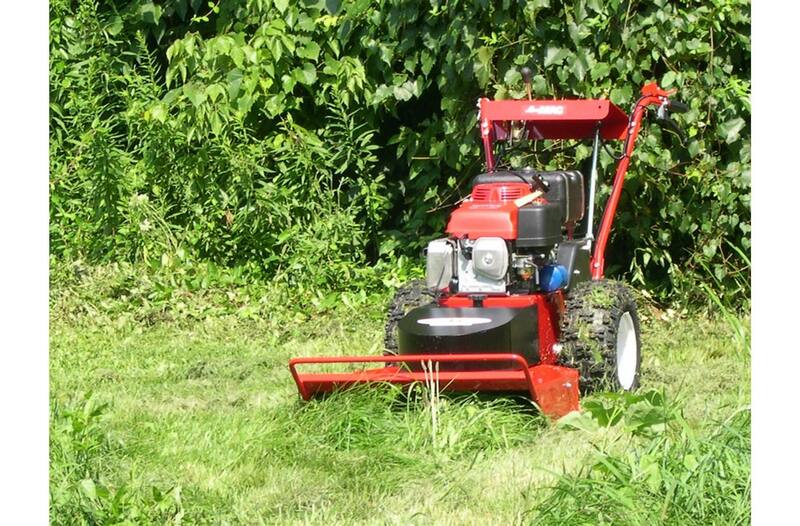 The rough terrain mower offers a 42 inch landscaping mower deck, too. The decks are easily changed from one deck to the other in less then five minutes! No tools required. For the safety of the operator, there is an operator presence lever which engages when the blades are turned on. All heavy duty controls are easily accessible from the operator's position.